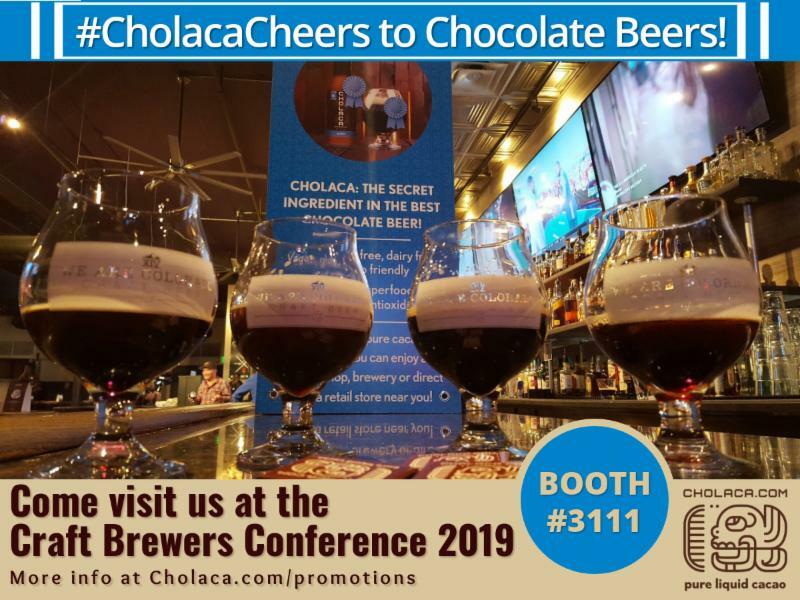 #cholacacheers to chocolate beers in April, we have so much news to share, it’s going to be a delicious month! 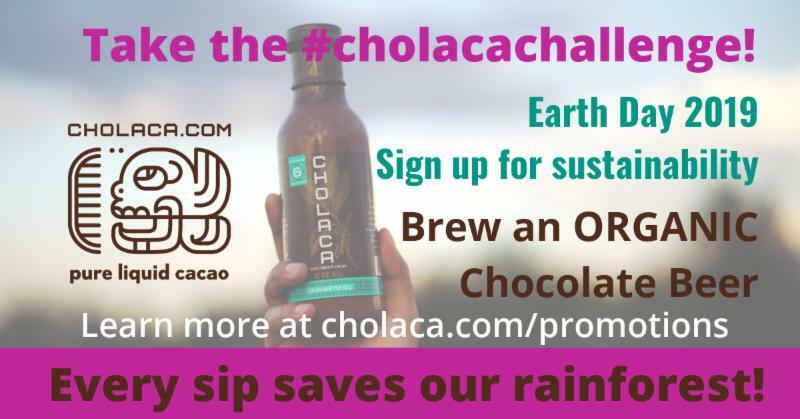 Take the #cholacachallenge and sign up for sustainability to brew an Organic chocolate beer. We will have more info available here. Sample our collaboration organic recipe from Asher Brewing Company with Country Malt Group at their Beer station at CBC (next to our Cholaca booth # 3111). AND join us in celebrating at the Asher Brewing Co. release party at the brewery on April 5th starting at 2pm. Stayed tuned on social for more info! To top it all off: Celebrate Earth day ALL MONTH LONG with 10% off 5 Gallon buckets of unsweetened Cholaca! Checkout NEW Chocolate Beers in our “On Draft” section for April. 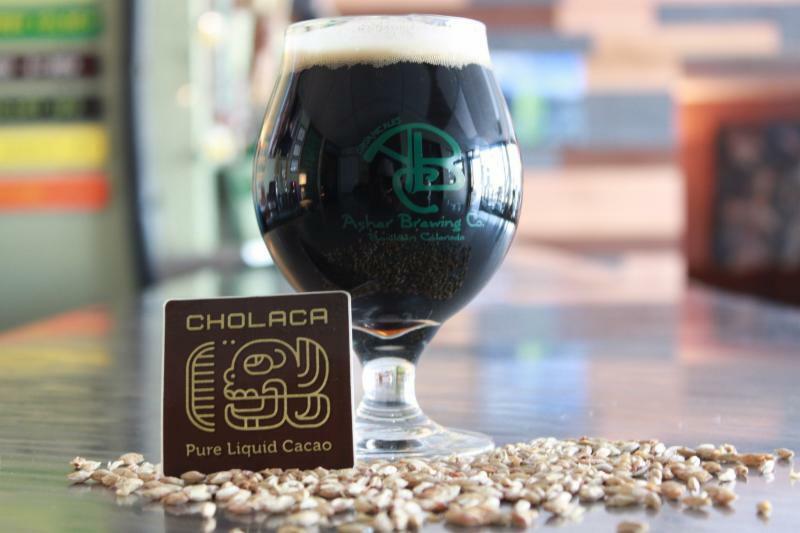 Ask yourself: Are you brewing a Cholaca brewed chocolate beer yet? JUST SAY NO TO NIBS! Try a free sample of our pure liquid cacao NOW for your next chocolate beer! 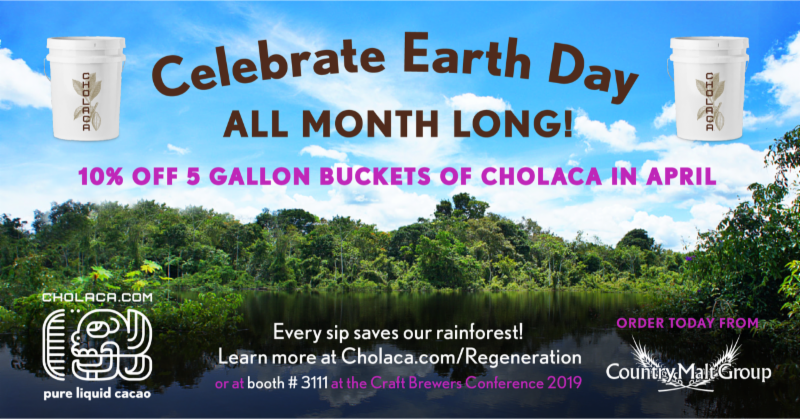 THIS APRIL, WE WILL ALSO BE CELEBRATING EARTH DAY ALL MONTH LONG WITH 10% OFF 5 GALLON BUCKETS OF UNSWEETENED CHOLACA! This is one collaboration that we are SOexcited to announce. 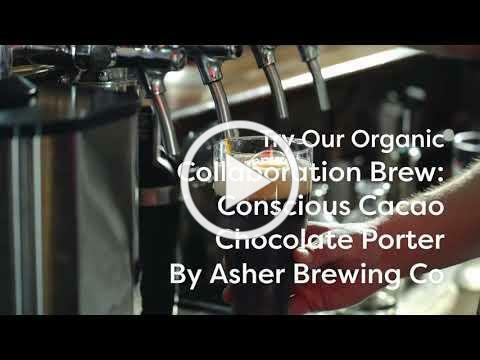 For Earth Day this year, we have teamed up with Asher Brewing and Country Malt Group to brew a collaboration Organic Conscious Cacao Chocolate Porter. And, we are debuting it at the Craft Brewers Conference 2019 at CMG’s booth next to ours #3111. We cant wait to sample this beer! newsletter and on our social platforms! Cacao Chocolate Porter infused with Cholaca. Made right here in Colorado, this brew was made with sustainability! Asher uses the highest quality organic ingredients to craft one-of-a-kind ales that are better for you, and better for the environment! For the Win! 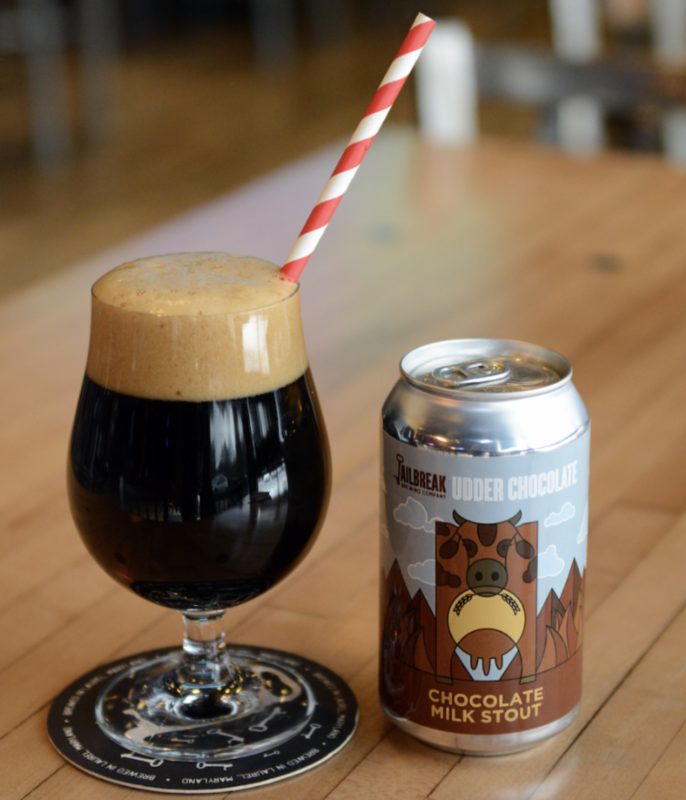 Udder Chocolate is unapologetic in its sweet decadence use of lactose in the boil combined with “dry-hop” additions of Cholaca in the fermenter transform the base beer into adult chocolate milk. Yum! I JUST PICKED UP A 5 GALLON PAIL OF UNSWEETENED CHOLACA FROM CMG. I WAS CONSIDERING DOING SOME BARREL AGING WITH IT. DO YOU HAVE ANY INFO FROM ANYONE WHO HAS DONE THIS YET AND ADVICE ON HOW TO BEST HANDLE IT?